Imagine you logged into your social network of choice (Facebook, Twitter, LinkedIn) and discovered that your list of friends and contacts had been changed by the social network to reflect who THEY thought you should be following, as opposed to who you had chosen. Having used Yammer at work to have a vague idea as to what colleagues across the company are doing and interested in, they decided to send me an email this morning saying that as “My Feed” followed everyone, they were going to unilaterally unfollow everyone on my behalf. “Here’s the thing: as Yammer networks grow in companies, we’ve learned a few things. We’ve learned that as your company network gets bigger, Following Everyone can clutter up your MyFeed and impair your ability to find what’s most relevant to you. On Friday, October 29th, you will stop following everyone in your network. Before then, you can start following updates from specific people at *** by clicking here. Well, I don’t want that to happen. But helpfully, the only way – it would seem – to protest this decision is to make a meagre posting on their uservoice customer forum. Like Glee? Then you’re a 20-something woman. Discuss. 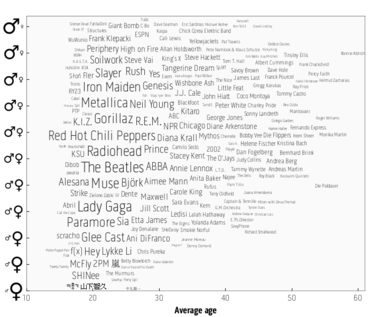 The geniuses at last.fm have mashed-up their data to produce a chart divided by gender/age as to what most of their users in a particular age-range and gender enjoy. You advertise goods for sale, and I – not unreasonably – ask to see a photo of said goods. Doing content is easy, right? You’re organising a week in which school children are encouraged to go to the cinema and watch films. 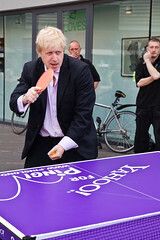 The campaign is rather laboriously called National Schools Film Week – and you can visit their website at www.nsfw.org. However, I’m pretty sure that most schoolkids will just giggle at the other meaning of NSFW – which is to today’s generation what the red triangle on the top-right of a film being shown on TV meant to my generation. LinkedIn has become the defacto premiere website for making business connections, so as a consequence all these groups have sprung up promising to connect you to more and more people. I joined a few groups, but they weren’t quite what I was looking for. So I wanted to leave a group. You’d have thought a website dedicated to business professionals would make it easy to do what you need to do – like leaving a group. But oh no. You can’t leave a group from your group settings page. Oh no, that’d be far too obvious. Instead, you have to go to a listing of all your groups, and click on the tiny word that says Actions by each link. And I had to do that by consulting the Help page.